More info:From £2699 - £3099 excluding flights. Prices based on 2 adults sharing. Single supplement available. Mimimum age 14. 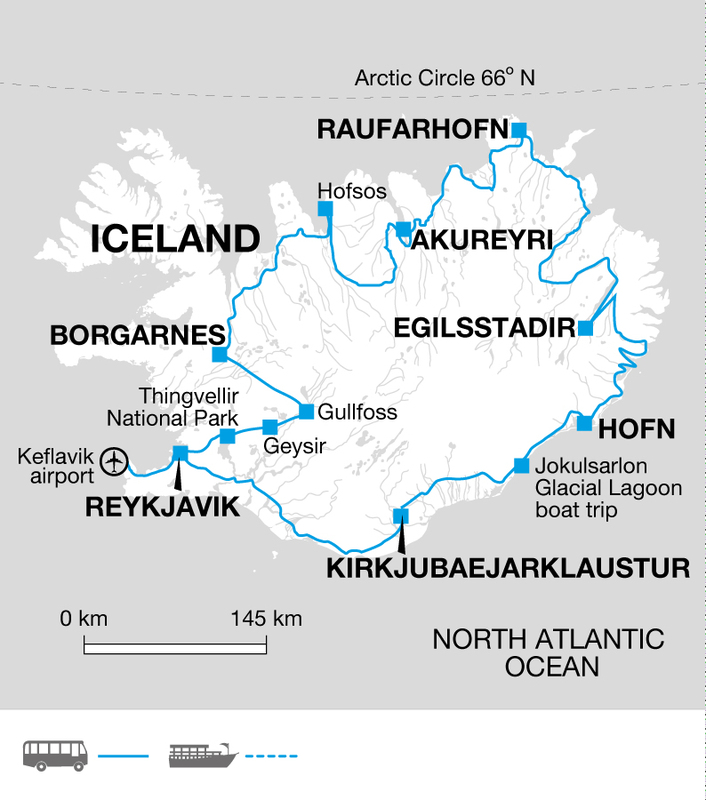 This exciting loop of Iceland includes all the highlights from the famous Ring Road but also adds in a few things that are off the tourist trail but give a real insight in to traditional Icelandic culture. Iceland’s landscape is pristine and during the trip our local guides ensure that all rubbish is disposed of in a responsible way so we don’t leave a mark on the landscape. We encourage the use of reusable water bottles throughout the trip to decrease the amount of plastic waste we create. Heading further north we stay at Raufarhorn where we can experience natural hot pools away from the crowds and soak up the incredible feeling of being out in nature. Here birds far outnumber the human community! Travelling to Borgarnes we spend a night with a farming family who take the time to chat to us our their lifestyle over a hearty meal. Farming and fishing are still the main industries in Iceland, being so remote much of what is consumed is grown or sourced locally. We have been working with our Icelandic partner for many years and this wonderful couple ensure we see the very best of their country. They employ local guides and drivers and often travel with the groups themselves to bring that extra personal touch. The beauty of this trip is in the accommodation we use, all locally owned and run but also offering the chance to really get to understand Icelandic culture. In Egilsstadir we spend a night at the Wilderness Centre, a farmhouse from the 1940’s that has been restored and by day is a museum displaying the old Icelandic way of life, focussed on farming and with shared family accommodation all in a grass-topped house. Before we tuck in for the night we are treated to an Icelandic feast of local meats, fish and locally grown vegetables.